In Malta, public transport (a.k.a buses) can be a bit unpredictable. Buses are frequently late and crammed full of people by the time they’re at stop nr. 2 on the route, and tickets (for non residents) cost €2.20 and are valid only for two hours. 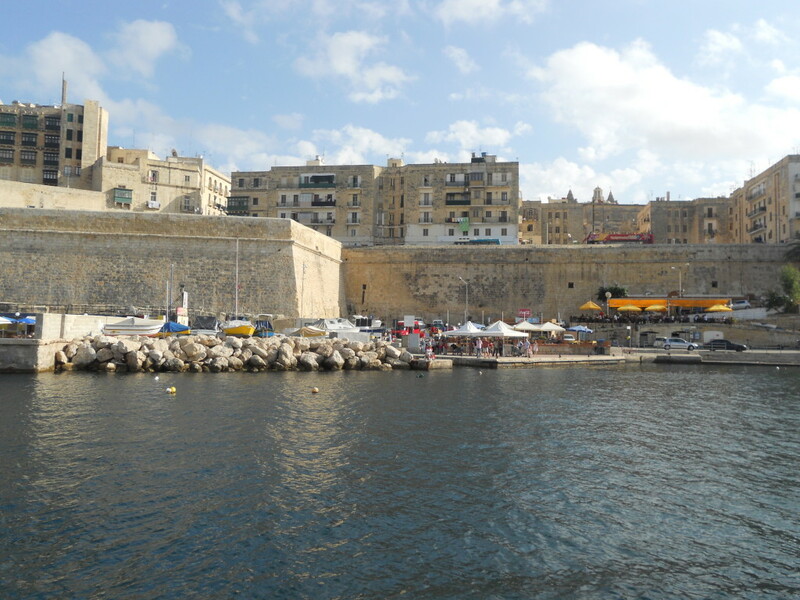 An excellent alternative then if you’re heading to Malta’s capital Valletta from Sliema is the water taxi service or ferry. The service is every day from Sliema ‘Ferries’ (the long-standing name for the stretch of seafront directly across from Marks & Spencer) starting from 07.00 to 18.15 in winter and to 19.15 in summer. The service is available on Sundays and on public holiday from a little later, 09.00 (see timetable). The ticket prices are cheap (€1.50 adult single; adult return € 2.80, and €0.50 children single) and you reach Valletta, hassle free, in what seems like just 5 minutes. There are also frequent traveler tickets ideal for regular commuters. For a commuter’s view of the ferry trip, see this article on Valletta 2018’s website. Of course, the service is weather permitting, so you may find yourselves on stormy and windy days getting the bus after all, but with the kind of summer-like autumn we’ve had this year, those days of no service running are few and far between. 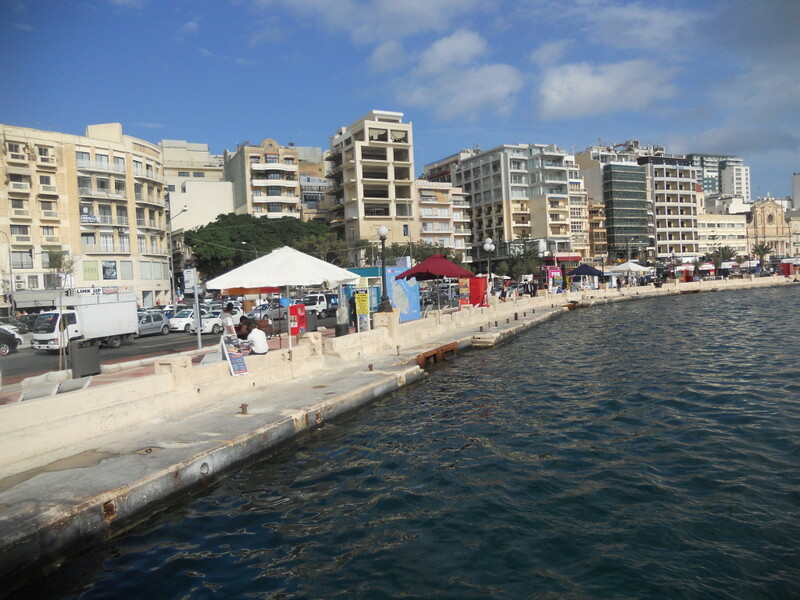 The boat leaves near to the centre of Sliema Ferries, crossing the street from where are all the shops. Bus stops are right nearby and you don’t have to wait long for the ferry as they are punctual. 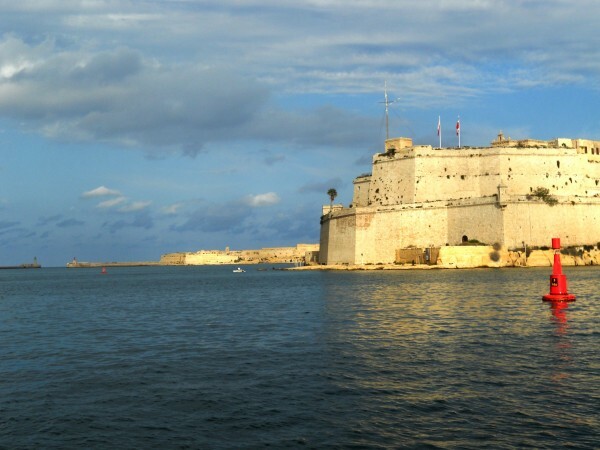 By water, you can also enjoy the beautiful views 360 degrees around you – back to Sliema, across Manoel Island and its fort which you skirt past, and of course, an ever closer view of Valletta where you’ll dock. The boat arrives in a small port in Marsamxetto Harbour, very close to the center; with a short, if steep five-minute walk you can reach the St John’s Co-Cathedral. 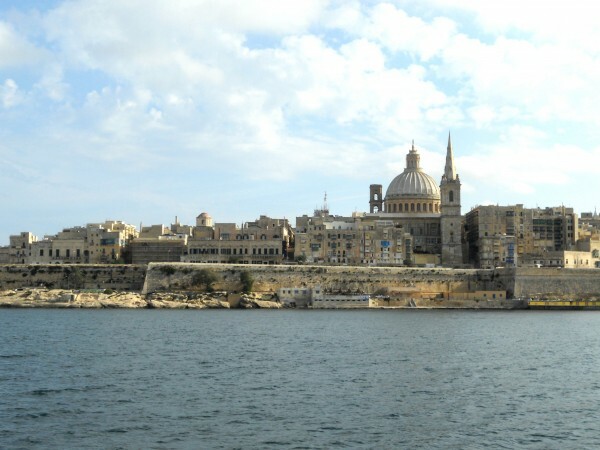 From Valletta is also possible to take another boat that brings you directly to the Three Cities across Grand Harbour. The quayside where you can take this service is called Lascaris, and is of course right over the Valletta peninsula on the opposite coast from where the Sliema ferry comes in. This boat stops first at Vittoriosa (Birgu) and the entire trip across Grand Harbour gives you spectacular views and an impression of just how imposing all Grand Harbour’s bastions are. You’ll see right to the harbour mouth and have beautiful views of the Fort St Angelo as you approach Birgu and in the distance of Fort Rinella. Turning the other side you can see Senglea (L-Isla) on its peninsula; the boat stops here immediately after Birgu. I took the ferries for a sightseeing trip, and can recommend them for the boat ride and the views they offer, whether you have a specific end destination in mind or not. But if you do wish to visit Valletta and the Three Cities from Sliema, they make a great alternative that is both practical – as it avoids downtime – and one that also gives you a totally different perspective of these old harbour cities, and harbour life; one that bus and road approaches just can’t come near to. Valletta & Three Cities Ferry Services are run by Captain Morgan Cruises. Be aware that other companies may from time to time offer ferry services on the routes above, but the Captain Morgan services we took are at regulated, set fares. 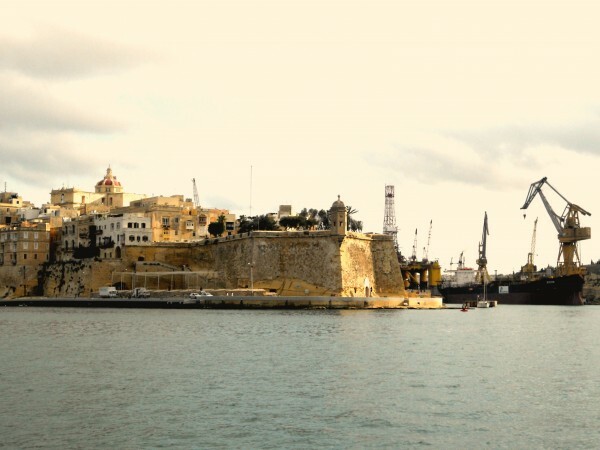 A different company, Malta Water Taxis, runs Dhajsa sight-seeing trips around Grand Harbour available from Birgu Waterfront (info point is just near the arch over the road leading along the water front). We’ll be covering those in another post soon. Habe mit meiner Großen Liebe, dem “Herz vom Ammerland” Inge Dierks Torsholt mehrfach Malta angeflogen, auch die Inseln Gozo und Komino mit Auto und Bus erkundet und mit dem Schiff umrundet. Immer wieder beeindruckende Erlebnisse gehabt und Erfahrungen gemacht. Auf den auch historisch interessanten Inseln. bitte den Kommentar vom 21.November umgehend berichtigen ! Bernhard, danke vielmals fuer ihren Kommenten hier auf unseren Site. Es ist immer interessant die Erfahrungen des Besuchers zu lernen (als Hilfe fur andere die hierher kommen wollen). Ich bin sehr froh dass Malta Ihnen passt und dass Sie eine gute Ferien hier gehabt haben. Danke vielmals und ich hoffe dass Sie Malta wieder besuch machen. habe mit meiner großen Liebe dem ” Herz vom Ammerland ” Inge Dierks mehrfach Malta angeflogen, die Inseln auch Gozo und Komino mit Auto und Bus erkundet sowie auch mit dem Schiff umrundet. Immer wieder beeindruckende Erlebnisse gehabt und Erfahrungen gemacht auf der auch historisch interessanten Inselwelt.